Home : #Vincent Yeung, Ph.D.
Dr. Yeung received his B.Sc. in Chemistry at the Chinese University of Hong Kong in 1996, M.Sc. in Agriculture (Dairy Products Technology) at Cal Poly in 1999, and Ph.D. in Food Chemistry at Cornell in 2003. He received two more years of training as a post-doctoral associate at Cornell, working on a USDA-funded project with his advisor, Dr. Dennis Miller. 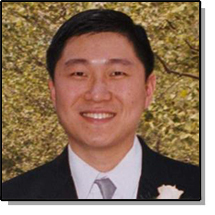 Prior to his current position, Dr. Yeung spent time as an Assistant Professor in the Department of Nutrition, Food Science and Hospitality at South Dakota State University, and also as a lecturer of food science and dairy science at Cal Poly. In 2010, Dr. Yeung served as an Associate Professor of Food Science and the Associate Dean of Science and Technology at BNU-HKBU United International College in Zhuhai, Guangdong, China. During his 18-month stay in China, Dr. Yeung developed a strong interest in international education, especially with underprivileged students. Dr. Yeung currently teaches undergraduate- and graduate-level dairy foods and dairy processing courses at Cal Poly. His research interest is in the area of dairy foods and health. He utilizes both in vitro and in vivo methods, including the human intestinal cell culture model and the rat model to assess the effects of non-digestible oligosaccharides (also known as prebiotics) on the bioavailability of minerals, and on the prevention of cell damage in small intestine and colon environments.